GS Yuasa, Mitsubishi and Bosch have set up Lithium Energy and Power GmbH & Co– a joint venture to develop next generation lithium-ion batteries. The group has ambitious plans to double the energy capacity of batteries within the next decade for the electric vehicle market. 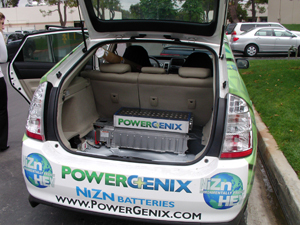 PowerGenix has signed a memorandum of understanding (MoU) with Asian battery manufacturer Amperex Technology Co. Ltd. (ATL) to manufacture nickel-zinc batteries for use in start-stop applications. ATL manufactures rechargeable lithium-polymer battery cells and related battery packs and systems. It was the first Chinese manufacturer to produce high quality lithium polymer batteries in large volumes.